Sustainable Living. It’s a term we hear a lot – but what does that really mean? While this term means different things to different people, in essence, it’s about minimizing our impact on the planet and living in harmony with Mother Earth instead of mindlessly plundering her resources. While ideally, huge numbers of us would like to live completely off the grid, growing our own food, constructing our own buildings, and generating our own energy, that’s not entirely practical or affordable. 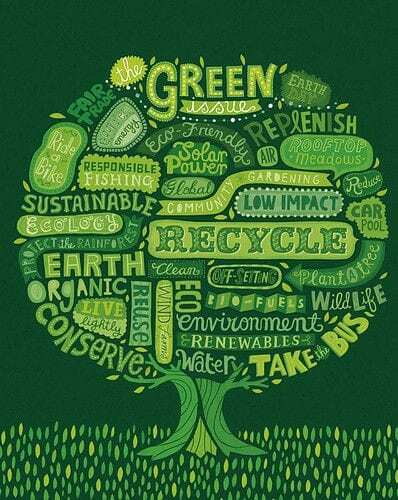 However, there’s an array of super simple things you can do to make your home a little greener and sustainable. So take a look at our sustainable living tips and take your first steps to self-sufficient sustainability. The idea of recycling to save the planet has been bounced around for years. And while it’s true that recycling materials is mostly better than constructing new ones, recycling still produces huge amounts of emissions and uses an awful lot of nasty chemicals. So, the key is to reduce the amount of non-biodegradable materials that you buy and to reuse and repurpose those you do buy. For example, gather enough 2-liter soda bottles and some bamboo canes and you easily make a really cheap, brilliantly effective greenhouse. Or, clean out tin cans, fill them with sand, pierce them at strategic intervals, paint the exterior, and place a candle inside for a decorative candle holder that you can use inside or outdoors. There’s limitless ways to reuse and repurpose everyday objects. Got any old tires? 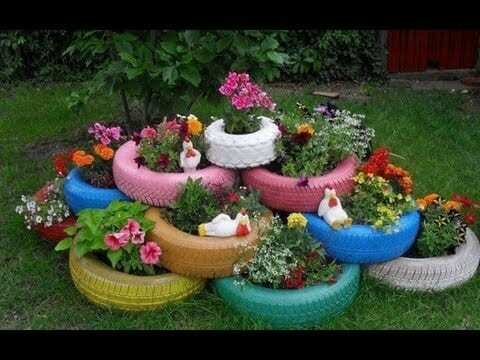 Wash them down, stack them, paint any fantastical design you want, fill the middle with compost, and plant with fruit, veggies, or flowers. This is common sense – but many of us are still guilty of bad habits. Turn off and, when possible, unplug your electricals when you’re not using them. Not only does this lower your carbon footprint and increase your home’s sustainability, it reduces your energy consumption, so saves you a significant amount of money. And that’s never a bad thing. We’re not suggesting you go weeks without a shower – we’d never encourage stinkiness. However, reducing the length of your shower by as little as two minutes can save 10 gallons of water. So again, it’s better for the environment, and saves you money. Aim for a five-minute shower and look at the difference in your water bill. You can also consider investing in an eco shower or eco shower head. Another no-brainer! 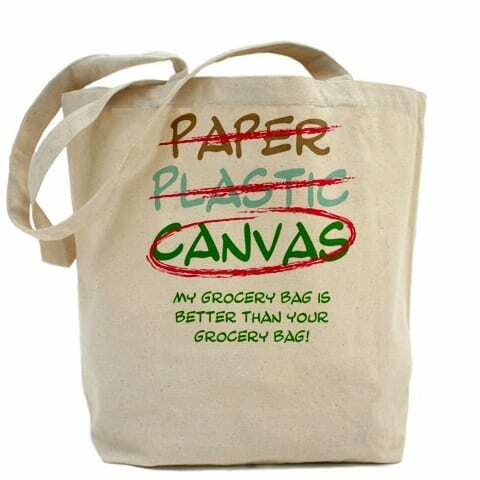 Don’t just go for the tough plastic grocery bags – get hessian or organic cotton ones. These natural grocery bags produce far fewer emissions during construction and usually last much longer. Keep a supply in the car or in your backpack, so they’re always to hand. Don’t wash half a load – it’s incredibly wasteful, even if you put the washing machine on a half cycle. 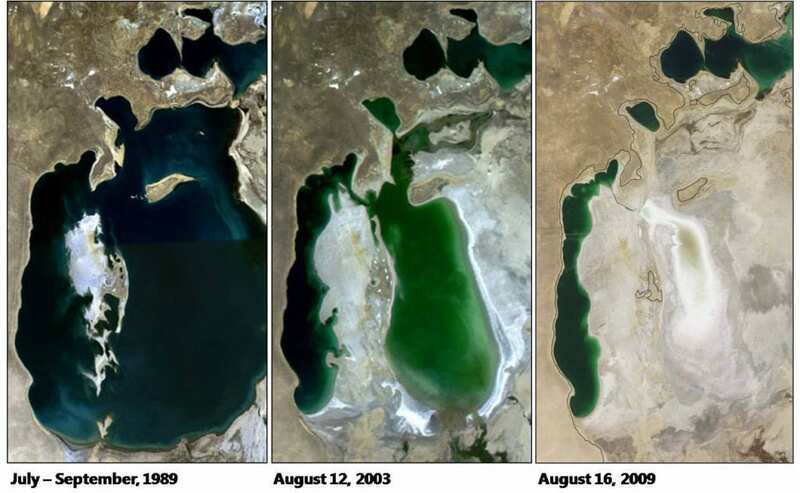 It consumes huge amounts of electricity and water. Wait until you have a full load. The same applies for your dishwasher. Additionally, we advise not putting your clothes in the wash basket unless you need to. Do you really need to wash a shirt or jacket that you’ve only had on for a day or a few hours? If in doubt, give it a sniff! Many of us are guilty of throwing out old clothing, bed lined, table cloths etc. While some stuff is always welcomed by charities, some of your fabric items may not be suitable for charity. So get creative and reuse them. If you know your way around a sewing machine , you can alter adult clothing and reshape it as fun play clothing for kids. 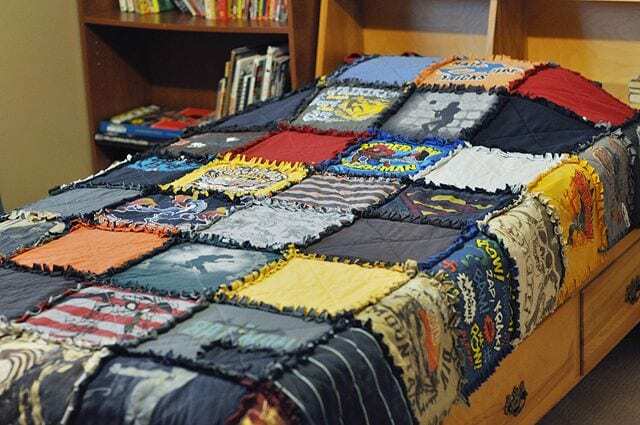 If you’ve got a stack of old t-shirts, make a no-sew t-shirt cushion or blanket. Upcycle old fabrics and make extra reusable grocery bags, dog toys, fabric balls, holiday decorations, mug cosies… the list goes on. While we know it’s not practical for everyone to rush out and buy all brand new kitchen appliances just to save energy, we do advise that you remember this one. When you do find yourself in need of a new appliance – whether it’s an oven, a washing machine, or a coffee maker, aim for the most energy efficient model you can. This ensures that your new appliance uses the least amount of energy to get the job done, saving you money and reducing your carbon footprint. What’s wrong with standard cottons? You ask… Oh so much. Standard cotton is more commonly known as dirty cotton and is responsible for the destruction of 1000’s of acres of land around the world. It’s incredibly harmful to the planet – not to mention your health. The heavy pesticide use associated with dirty cotton not only has a dramatic effect on insects and wildlife populations, but contains chemicals that were originally developed as toxic nerve agents. Many of the chemicals used during the growth process and during production are known carcinogens, and the waste materials leach into waterways and destroys aquatic life. And traces of these chemicals are still present in the finished products that we willingly wear or wrap our children in every day. It’s a terrifying thought. So we urge everyone to choose organic cotton. Yes, it costs a little more money-wise, but costs far less in terms of your health and the planet. If you have plenty of spare land at your disposal, you can grow pretty much all of your fruit and veg – and keep chickens for eggs and goats for milk. Even if you don’t have this luxury and only have a small yard, or live in an apartment and only have a balcony or some window boxes, you can still grow your own food. 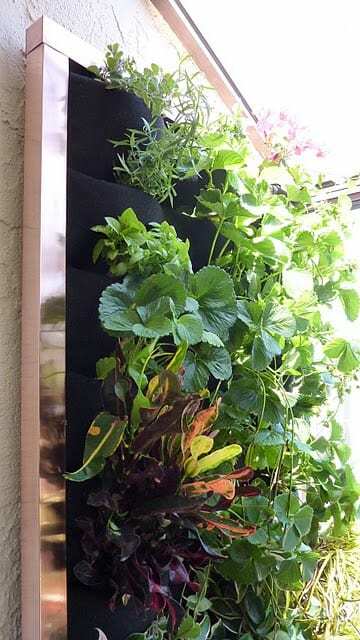 If your floor space is really limited, build yourself a vertical wall of bounty or get some small troughs and grow salad vegetables, trailing tomatoes, strawberries, and herbs. Make sure you do it organically, too. This local food movement ensures you get fresh, healthy food free from pesticides and preservatives (it tastes way better than what comes from the store, too), and reduces your household’s food miles. And, as if that wasn’t enough – you’ll save plenty of money, too. A simple vertical wall of bounty! However much growing space you have, your soil needs care to give you optimal crop yield. But you don’t need nasty chemical fertilizer – you can make your own really easily – and free. Go with stinging nettle or comfrey stew, or, if you have access to a plentiful supply, use manure from livestock such as goats and chickens. A fast, easy sustainable living tip that involves hardly any effort: Get all your bills electronically, reducing the amount of paper, and therefore the number of trees that are cut down. Plus many companies offer a small discount for paperless billing. Not everyone can afford to get solar panels installed – we understand that. But what you can do is grab a solar charger to use with your mobile devices, such as cell phones and tablets. Yes, the charger costs you money, but it pays for itself many times over, as the energy it provides is completely free and, because it uses sunlight, it’s clean, green, and sustainable. Set up waterbutts and other containers to collect rain water for your vegetables. It significantly reduces the amount of tap water you use. And you can take a couple of buckets when you go shower, too, and use this grey water in the garden. Yes, we know short showers are much better for energy efficiency. We also know that many of us still enjoy the occasional soak in the bath. So, reduce the guilt you feel and reduce your water consumption by reusing your bath water in the garden. Traditional incandescent bulbs produce ridiculous amounts of wasted energy in the form of heat. Switching to halogen, LED, or compact fluorescent bulbs massively reduces your energy consumption. It really doesn’t cost much and you’ll be amazed at the difference to your energy costs. Plus, remember, energy efficienct bulbs last up to 50 times longer than traditional incandescent ones.